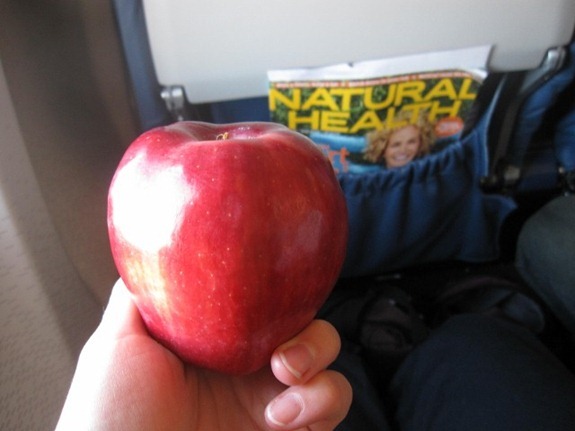 I just started to get hungry for lunch before we boarded our plane and grabbed an apple and a salad to take on board. [So impressed by all the healthy options at JFK!!] SO glad I did because I was ravenous within 20 minutes of taking off! This salad was incredible!!! 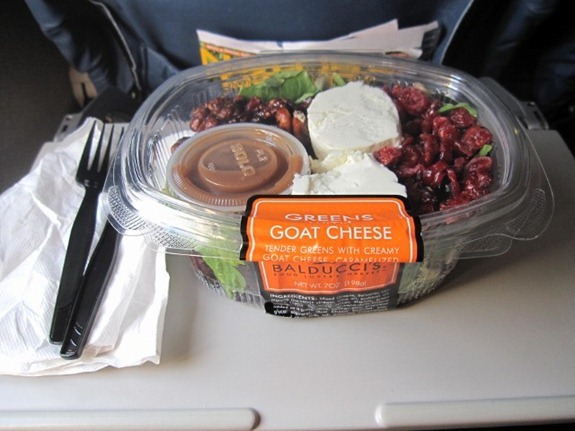 Candied walnuts, cranberries and two nice hunks of goat cheese – plus a packed bed of greens. Dessert came by at just the right time!!! 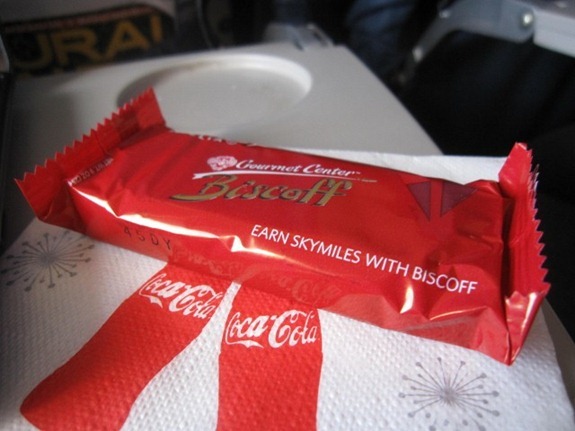 Biscoff tastes even better at a cruising altitude of 30,000 feet! Lucky us, Karen [Matt’s mom] gave us the celebrity treatment tonight! She picked us up from the airport and had a full gourmet dinner packed to unpack when we got home! She brought over this fun bowl her friend Julie gave her to feature on the blog Love the shape! We celebrated Matt’s birthday last week with a Snickers Cheesecake! I was so full from dinner I couldn’t finish my slice, but it was awesome. Snickers is my favorite candy bar! Open Sky has had such an incredible response to their "Helping Haiti" initiative, that they’ve decided to extend it for a few more days. Many shopkeepers [including KERF] have also volunteered to donate any profits. As soon as I answer> a few emails I’m headed to take a bubble bath, fold laundry and get in bed nice and early. I’ve got to be at work really early tomorrow, so I need my beauty sleep ASAP. P.S. The air smells sweeter in the south. Seriously. 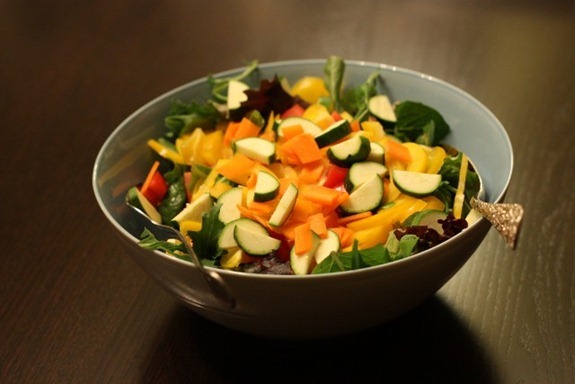 Rainbow salad is beautiful! And such great news about the Open Sky initiative. How sweet of Matt’s mom to have dinner all ready for you! And so nice of you to donate proceeds from Open Sky to Haiti. Oh my, your eats today look so awesome. Both the salads look delish! That salad looks so gourmet! Great for an airport! my favorite kind of salad is greens + Dried fruit + goat cheese+ whatever else i can find in the house. So glad you made it home safe! That is truly the gourmet treatment! That snicker cheesecake looks sooo good! Oh man that cheesecake looks amazing! Welcome home! Looks like you had such a great trip! 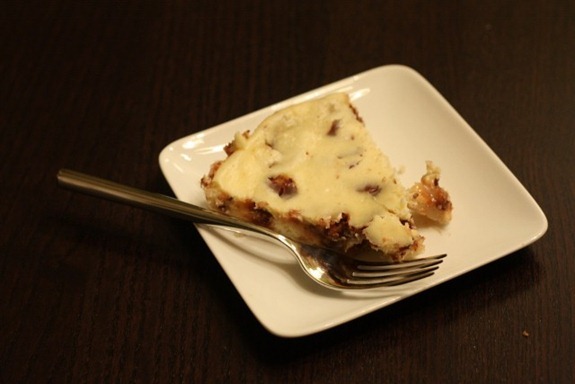 I love cheese cake and I think I would probably love it even more with snickers in it!! Glad you guys made it home safe! Ohh, that cheesecake sounds awesome – and that salad is beautiful!! 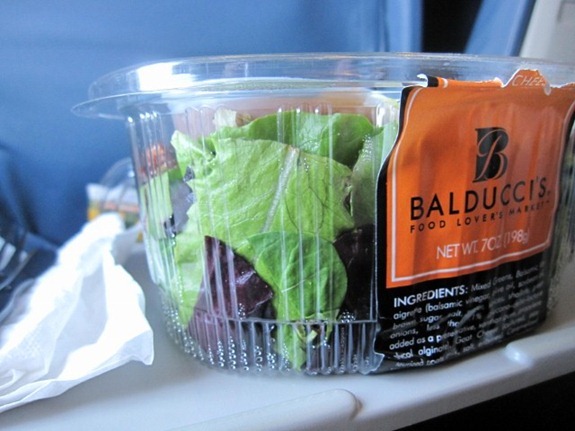 Love Biscoff — yummm, and that salad from the airport looks awesome. No just kidding with you. I am so glad you had a great trip and I am so happy to see that you made it home safely. Snickers = yum! My favorite, too! Candied walnuts AND goat cheese? I’m surprised you didn’t die and go to salad heaven (what a terrible pun…) Anyway, I agree that traveling with healthy food makes the experience SO much better. 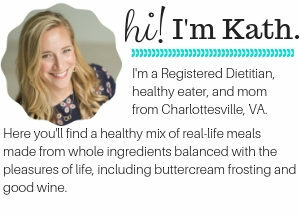 I’m traveling for my job starting in the fall and I’m so nervous that I’ll have a tough time finding healthy, delicious things to eat! I bet it’d be awesome in a cheesecake! Yummy dinner how nice of her~ do you think Matts mom would share her Chicken and White Bean Chili Recipe? I second this Kath–I’d love to have her recipe. It looks amazing! I already posted a request… but I “third” this! LOL! Yes – JFK really does have great choices!! I’m finding that most airports have some healthy option these days. That was so nice of Karen to pick you guys up and have dinner, and that cheesecake – looks amazing! Well how could you go wrong with the combo of cheesecake and snickers?! That bowl is so funky – I like! Feel free to ship some of that cheesecake to Michigan 😉 What a lovely dinner!! I love salads with goat cheese in them. So perfect. And I’m definitely glad that the southern weather is returning. The cold was awful! 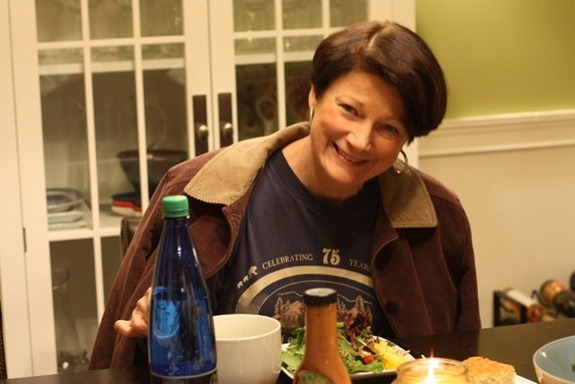 I don’t know which made me feel dumber: the fact that I thought you got that amazing salad on an airplane or the fact that I didn’t know Karen is Matt’s mom! so sweet of matt’s mom! it’s nice to come home and have things prepped for you like that. We have a Balducci’s near my house. I’ve only been inside ~3 times because it is $$$$$$!!! Those slabs of goat cheese look incredible! Glad you made it back safely. LOVE the Southern smell..even as someone from the North, I know what you mean! Do you know the Hendersonville area at all?? No, not really. But I’ve been there. 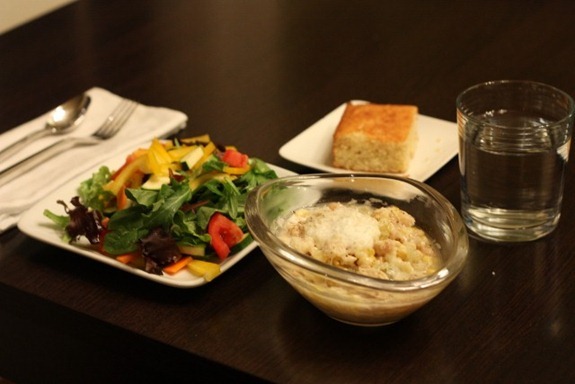 Looks like a gorgeous dinner – I’m sure you’re happy to be back home in your own bed. That’s always the best part about returning from a trip. 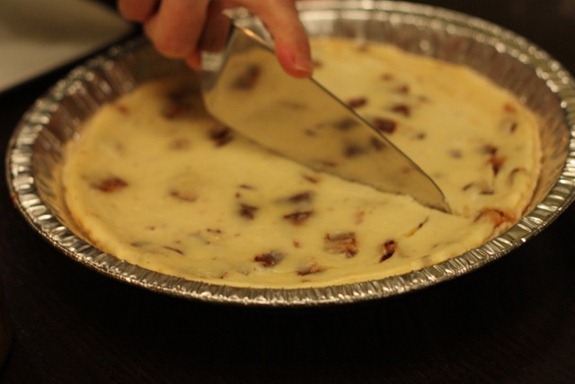 Snickers cheesecake… can you say incredible?! How sweet of her to send you home with a delicious, healthy, and gourmet meal! What an awesome dinner Karen put together for you two! and the cheesecake… jealous!! Have fun with the nice weather tomorrow! Those are some serious chunks of Goat Cheese. And it’s awesome that you have a lovely chaffeur and person chef. How nice to have such a good relationship with your MIL. So glad you made it home safely, and that dinner looks fantastic! My mom is constantly finding me new bowls and plates to feature… too bad they’re all breakfast dishes! 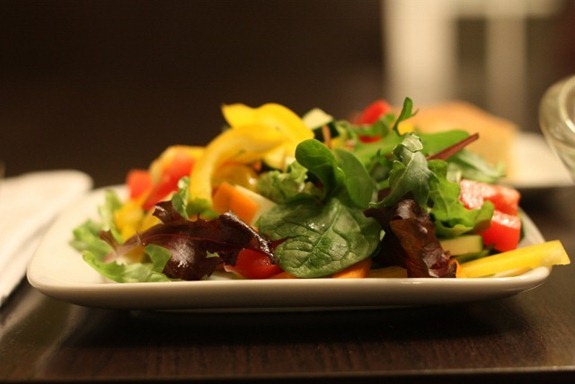 Salad looks great and I am glad you had your biscoff cookie;) we all know how much you love them! 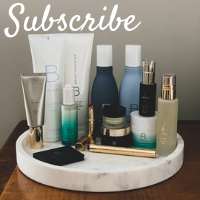 Did you get some extras? Ha. Lovely dinner made by the MIL and cute bowl! That salad does look amazing. I heart goat cheese. What was the dressing? Booooo. You southerners stink with your nice weather!! I’m excited when we get past 32* in the winter!! Airport food has improved a lot over the last 10 years. Last time I took a flight I found a hummus and veggie whole wheat wrap, kashi bar and fresh mellon! It’s nice to know you don’t have to cart a diaperbag full of food and rely on nutrition bars while traveling. The only deterrent is the high price!! I believe the wrap was around $9! Eek. Enjoy your sweet air and 65* day Kath!! snickers + cheesecake? can it get any better than that! it sounds like you had a great night with your hubby and his mother!! I also think that the cheesecake looks awesome!! But your mother in law looks a little cold!! Do you guys turn down the heat when you leave town?? 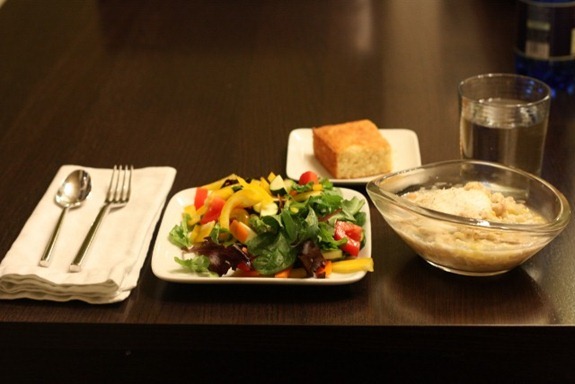 Both salads look amazing – I love craisins! Karen is so sweet to have made you and Matt such an amazing dinner. 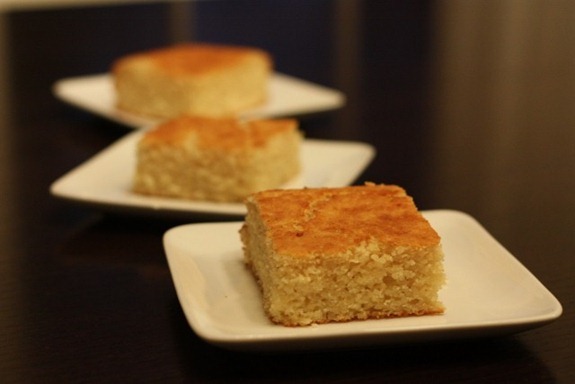 That cornbread and cheesecake look delicious! So lovely of MAtt’s mom to treat you to that fabulous dinner spread! Looks delicious. Good picture, Karen! Oh wow! That salad looks absolutely delicious! I got really excited when I saw the temperature image. Then I remembered that I live in Canada and you live in the south 🙁 If you thought NYC was cold..that was nothing compared to here ! What a beautiful dinner! How nice! 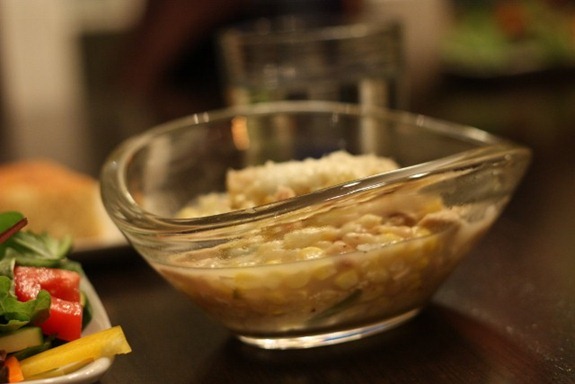 can you post the recipe for white bean & chicken chili? that sounds delish! 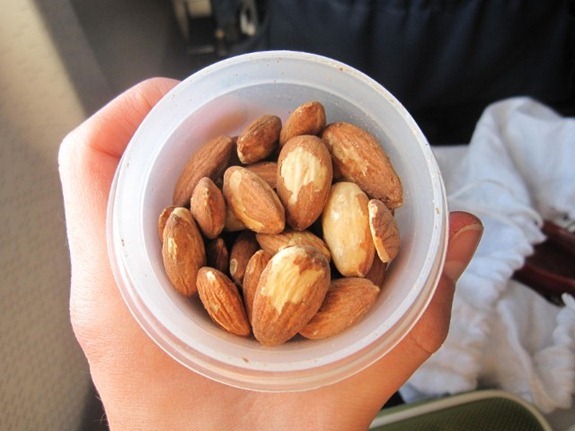 LOVE those healthy airplane goodies!!! I’m totally impressed by the healthy airport selection. 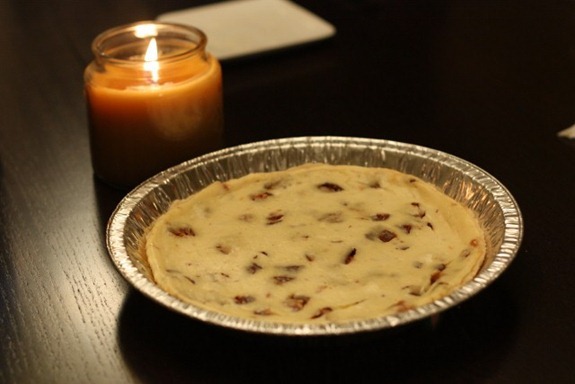 That snickers cheesecake looks delish! Wow what an amazing dinner! I wish I had that tonight (frozen veggies for me, not fun). Glad you made it back safely! I’m not hungry and both of your salads are making my mouth water! Snickers is one of my all-time-favorite candy bars. I love the peanuts in it! 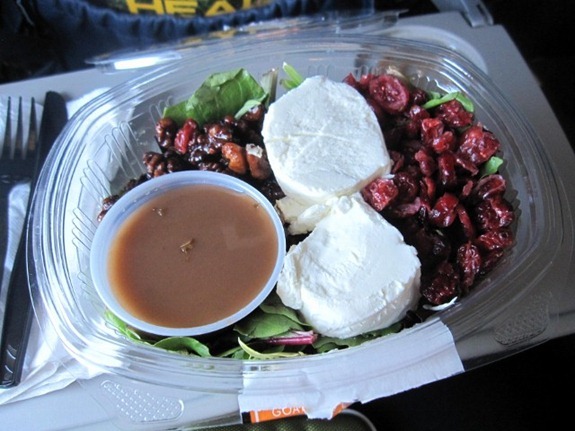 Your airport salad looks great, but I bet it cost a small fortune =/ Envious of your semi-sunny weather. Enjoy! Wow, that salad looks great. what a great dinner! that really is all-star celebrity treatment 🙂 glad y’all made it home safely! 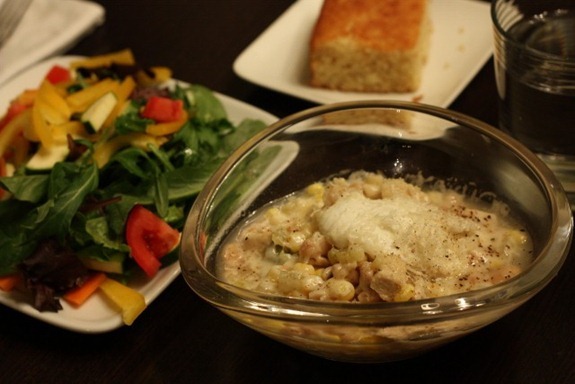 I’ve never had a white chili – I’m interested to make a tofu / white bean version! awh what a lovely In Law you have! That must’ve been great to come home to such a nice meal, you’re very lucky 🙂 I loovvee cornbread too, so you were especially lucky! Bring to boil, then simmer until done (20 minutes?) 1 pound boneless, skinless chicken breasts in three cups water. Remove chicken and chop. Return to broth. Saute one cup chopped onion, 4 cloves chopped garlic in 1 teaspoon olive oil. Then add to broth. Simmer all approximately one hour. May need to add some more canned chicken broth if it’s too thick. Top with tostitos, jack cheese, sour cream, salsa, green onions, olives, the kitchen sink!!!! SIXTY FIVE degrees?!?!?! Ugh, what I wouldn’t GIVE to see 65 degrees in this frozen tundra known as Iowa!! Wow that salad looks awesome!! Check out those hunks of goat cheese! That chili looks fantastic! I made a white bean soup with sausage and kale last night- yummy. Oh the Carolina air, I would always get out of the car and be like “what is that smell? ?” in a GOOD way! The fresh air there is so sweet and wonderful, I am in Florida even more south and the air is not that sweet here. That snickers cheesecake looks amazing!! I bet the combo is awesome! I’ve been so impressed with airport healthy dining options lately… At OHare in Chicago they’ve opened up this place Cibo Express that has all organic, good-for-you eats and treats… perfect for grabbing before I hop on board! Wow, that’s a nice spread to come home to! What a great mother-in-law!